#HallYuReady? A Bazaar Like No Other, Coming to You Soon! ENTERTAINMENT: Mark Zambrano & Aicelle Santos are now ENGAGED! 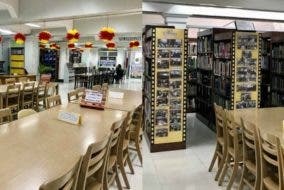 WOW: This public library in Cebu is open 24/7! The story behind this pre-nuptial shoot around ADMU is too adorable! ENTERTAINMENT: Park Shin-hye and Choi Tae-joon Confirm They’re Dating!